If you have a car that you no longer use but feel isn’t worth selling, then you may want to consider donating it to a charity. Several non-profit organizations accept car donations to assist in raising funds for different causes. Donating a car is a great way to help support a local or national cause you believe in. If you decide to go forward with a car donation, then you will need to follow a series of steps. Luckily, the experts at Car-Registration.org have put together an all-inclusive guide to help you donate your car, hassle-free. After deciding that you want to donate your car to charity, it’s time to pick an organization that speaks to you. The team at Car-Registration.org recommends taking some time to research different local and national organizations based on causes you find meaningful. Some people may want to help an organization that is dedicated to relieving child poverty, while others may have a passion for animals and would rather contribute to an animal shelter. Whatever you feel most passionate about, choose an organization that dedicates its resources to something you feel strongly about. It is also important to research exactly how a charity spends the gifts or money they receive through donations. Once you have chosen a charity, you must find out whether or not they accept car donations. The group at Car-Registration.org advises you to call the organization and ask a member first-hand about the possibilities of donating a vehicle. If they accept car donations, you can proceed to checking the charity’s overall ratings before handing over your car keys. Several online resources allow you to check ratings and tax filings of non-profit organizations across the country. Furthermore, you can visit the non-profit of your choice to get a more personal and up-close idea of the way they operate as an organization. Donating a car involves the same procedural steps as transferring a car title. Most states require applicants to submit a bill of sale that indicates whether the vehicle is being sold, gifted or donated. However, the specific requirements vary from state to state. The team at Car-Registration.org advises you to check the car title transfer procedure in your state before initiating your car donation. 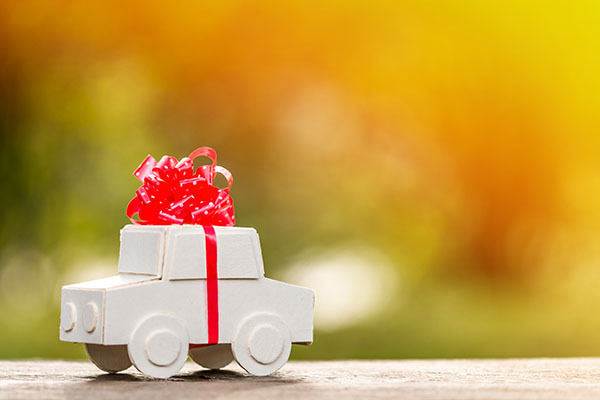 Before completing a car donation, the team at Car-Registration.org recommends that you ask the charity organizers for an acknowledgement letter stating the year, make and model of the vehicle you’re donating so that you can claim it on your tax returns. The tax deduction you can take on your U.S. Individual Income Tax Return is based on the fair market value of your vehicle. If you donated a car worth more than $500 but less than $5,000, you will also need to file a Non-cash Charitable Contributions form and complete Section A when preparing your tax returns. If the car you donated is worth more than $5,000, you will be required to submit the same additional form along with a written appraisal of your car from a qualified appraiser.